A ‘reprieve’ due to be given to a Lewes day centre for the elderly and disabled previously under threat of closure has been welcomed by the area’s county councillor. East Sussex County Council has been reviewing a number of adult social care services and held a public consultation on proposals earlier this year. The Phoenix Centre in Malling Street, which is one of several locations run by provided by Sussex Community Development Association (SCDA), was one of several services potentially facing closure. However officers are recommending the centre remains open, with a final decision set to be made by the authority’s Cabinet on Tuesday (June 26). The current model of service at the centre would continue, but the county council would re-tender the contract. Lib Dem Philip Daniel, who represents Ringmer and Lewes Bridge at the county council, said: “The reprieve is welcome, and I pay tribute to the staff, users and campaigners who have stood up for the Phoenix. He described how although the Phoenix Centre may not suffer further cuts, this would depend on whether the new contract would be re-tendered for the same level of service as currently provided. 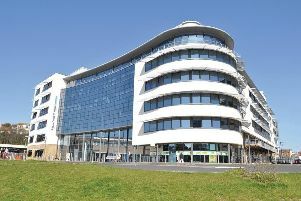 The centre has previously been described as ‘much-loved’ in Lewes.